Christ’s every action and decision was based on the welfare of others. He thought not of Himself but of His Father in Heaven, His brothers and sisters, and the eternal nature of His calling. He sacrificed not only His very body and life, but each and every moment He lived, and decision He made, was made for us. We can honor Him this season by thinking of others before ourselves and giving (time, gifts, help) without thought of receipt. 2. 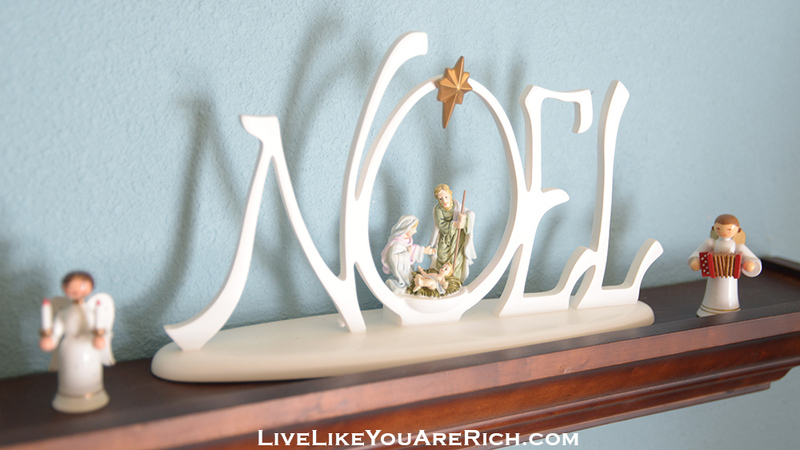 Decorate with Christ as the center of the décor. It is easy to get caught up in Santa Claus, Elf on the shelf, and other cute and fun décor. While I’m not against these decorations and have a few myself, by making a point to decorate with more Christ based Christmas decorations you will be reminded (as well as family and visitors) of the true meaning of Christmas. 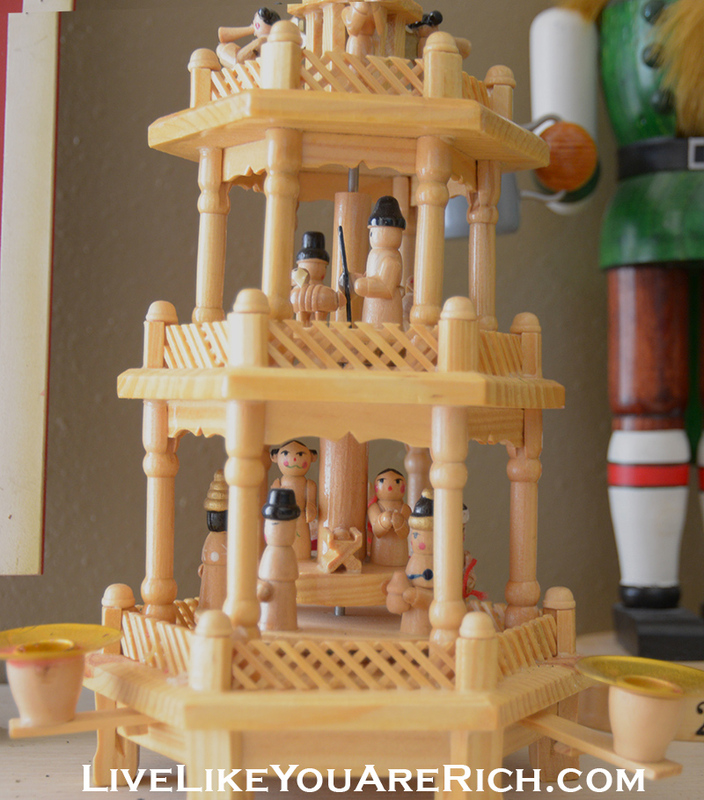 Many inexpensive nativities can be found here. When we give our thoughts room to contemplate the Savior’s birth, His life, and His sacrifice, we make room in our hearts to feel His love. 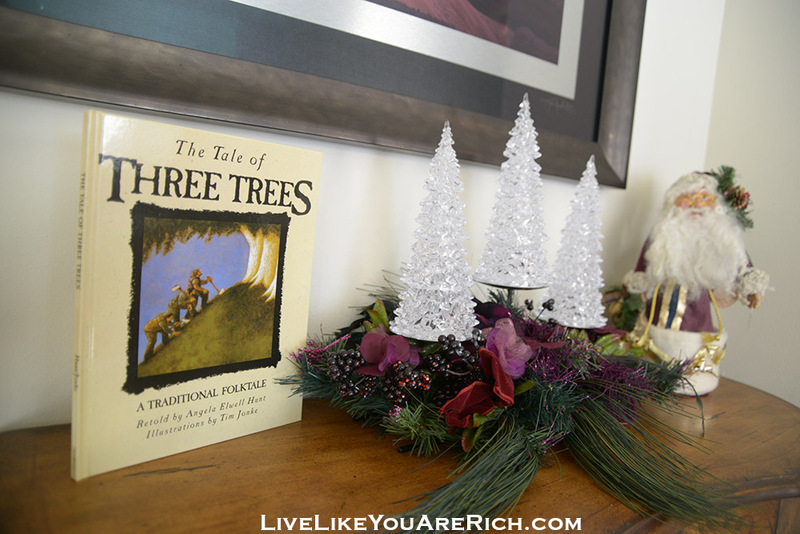 Read about Christ’s life from the Bible or other spiritual books such as “The Tale of Three Trees”. Take time each day to contemplate what Christ has done for you and you will feel His peace. 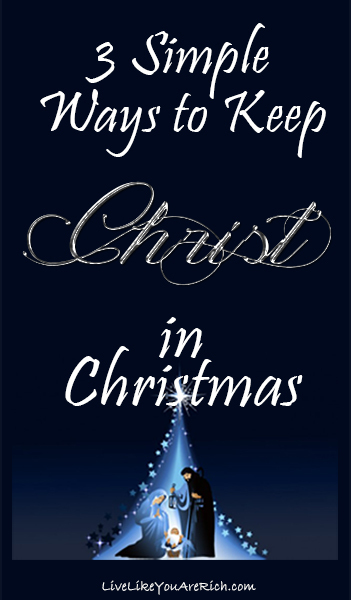 Doing these 3 Simple things to keep Christ in Christmas will warm your heart and home. For other ‘rich living’ tips please subscribe, follow me on Pinterest and like me on Facebook.